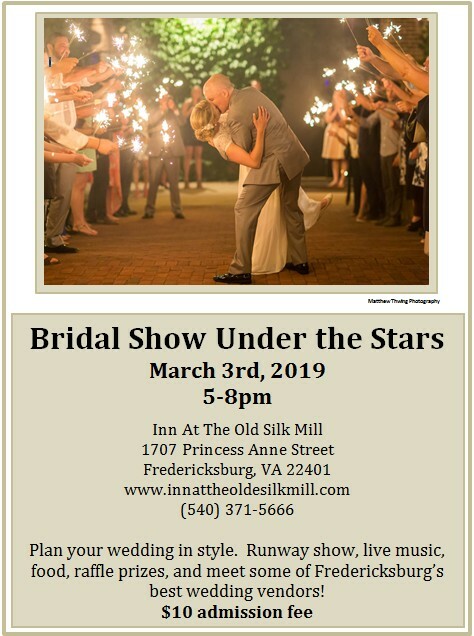 Join us March 3rd at Bridal Show Under the Stars, an open house at The Silk Mill. Check out some of our bed and breakfast rooms, the bridal suite, honeymoon suite, and our chapel location. Taste samples from our chef’s menu, meet the Silk Mill team, and enjoy the exciting evening atmosphere in The Silk Mill.